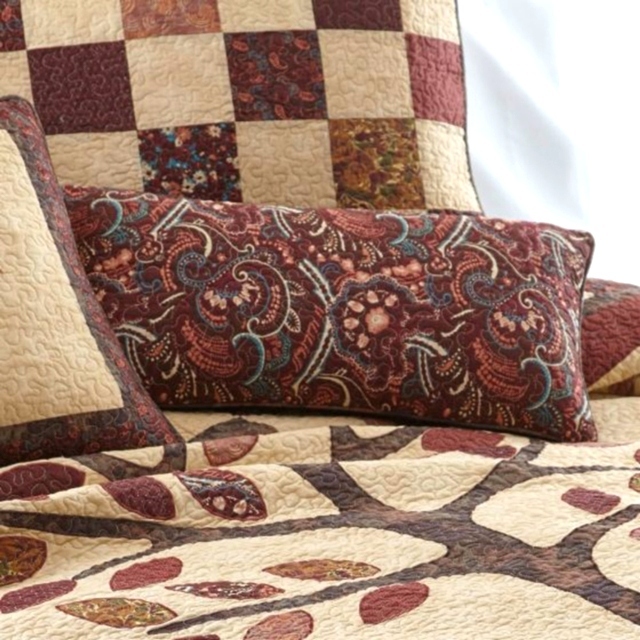 Your Autumn Tree of Life Collection by Donna Sharp | Autumn Donna Sharp | Donna Sharp | Donna Sharp Quilt Is Available In Several Sizes. 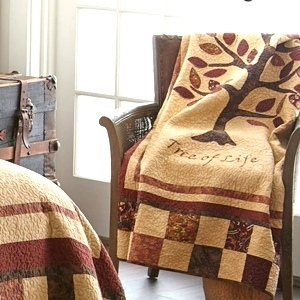 Select The Size You Want, And Add This Autumn Tree of Life Collection by Donna Sharp | Autumn Donna Sharp | Donna Sharp | Donna Sharp Quilt To Your Cart. 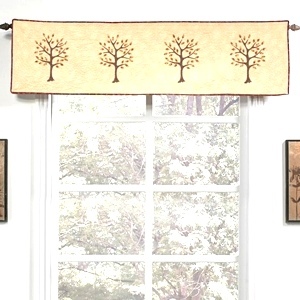 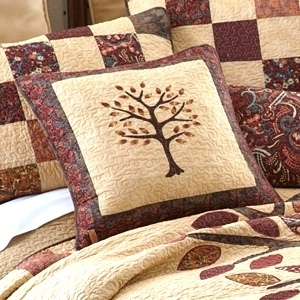 Autumn Tree of Life King Quilt: 110" x 96"
Autumn Tree of Life Full/Queen Quilt: 90" x 90"
Autumn Tree of Life Throw: 50" x 60"
Autumn Tree of Life Standard Sham: 20" x 26"
Autumn Tree of Life Valance/Runner: 15" x 56"
Autumn Tree of Life Decorative Pillow: 18" x 18"
Autumn Tree of Life Decorative Pillow - Rectangle: 11" x 22"
Peanut Sponged Euro Sham - 25" x 25"
Get Your Donna Sharp Oversized Quilt For An Incredible Price! 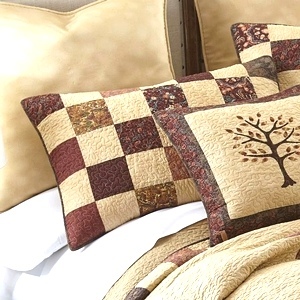 pretty much everything to make your dream bedroom come to life. Call for best price, or build your list with our shopping cart and request a quote.